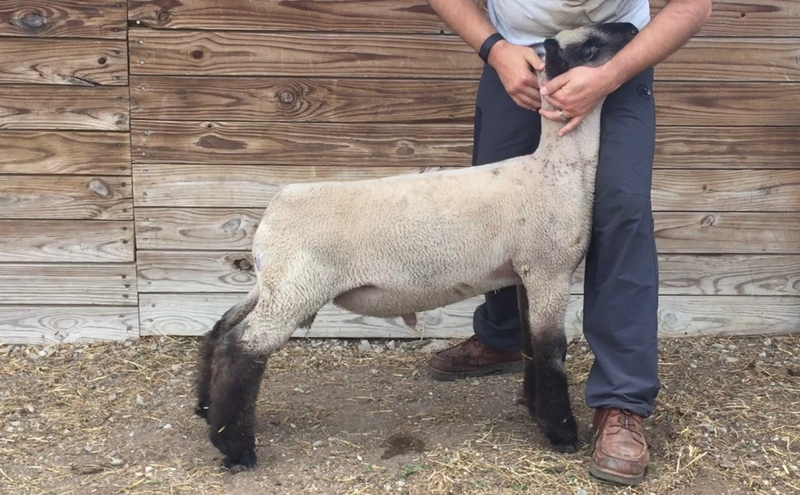 You certainly appreciate the qualities exhibited by this keeper yearling ram when put in motion. He was sired by our Storm Chaser son whom we call Colossal who has fathered numerous champions the past few years. 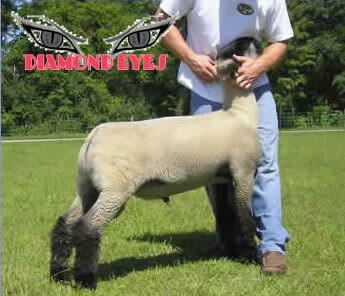 His mother is an Ammo daughter who has quickly moved to the top of our donor list. 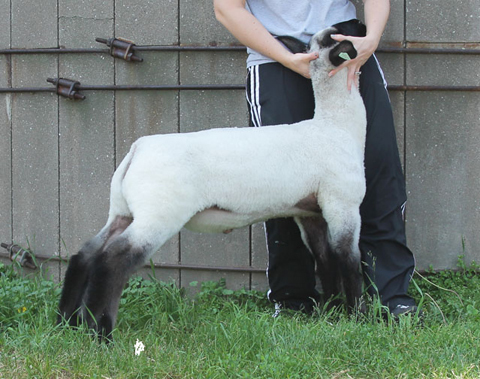 In this her second year, she dammed the Reserve Grand Champion at Lucas County Fair and also Supreme Ewe at Wood County Fair. Cammo is moderate in size, wide on the corners, chiseled shoulder, super square and sound on his feet. All things point to a program changer. 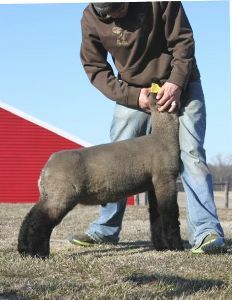 We are extremely excited about the opportunity to incorporate these elite genetics into our flock. Wheaton 2074 is not only a stout sire visually, but offers a sensational pedigree as well. 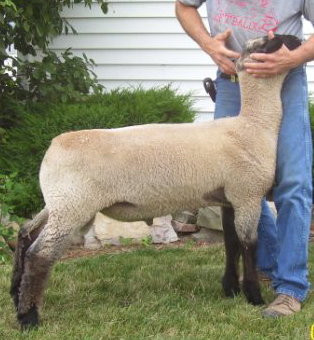 He's sired by Untouchable back on Wheaton 9081, an Exile donor ewe, that has already had success damming Fred Knop's APEX stud ram. We anticipate even more great things from this sire addition in 2015 and extend our thanks to Wheaton Hampshires for the opportunity to purchase this true stud. For Sale! Please contact us for more information. 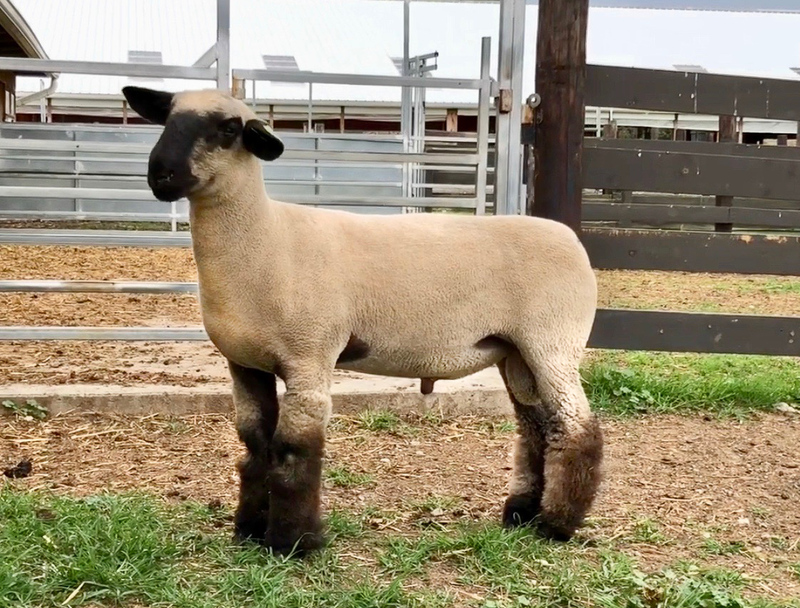 Out of Beatty's leading flush female bred to Mudcat, a $40,000 purchase from Johnson Club Lambs, OK.
We are elated with the impact Colossal has had in his few short years of service and greatly anticipate his upcoming lamb crop. 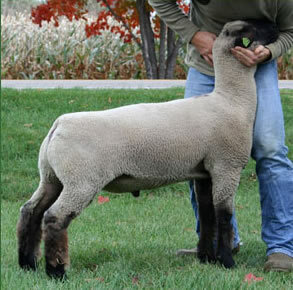 This keeper ram was sired by Sloan's Storm Chaser, a Storm Cat son from Hancock that sired the Champion Overall at the OSF Open in 2012 as well as several winners nationwide. In addition to his sire, Colossal comes from an outstanding maternal line. 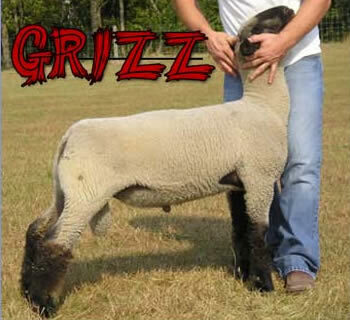 His dam was sired by Amstutz’s Win N Touch (Bounce son) X Miller who was the Champion Suffolk at the 2009 OSF Open. 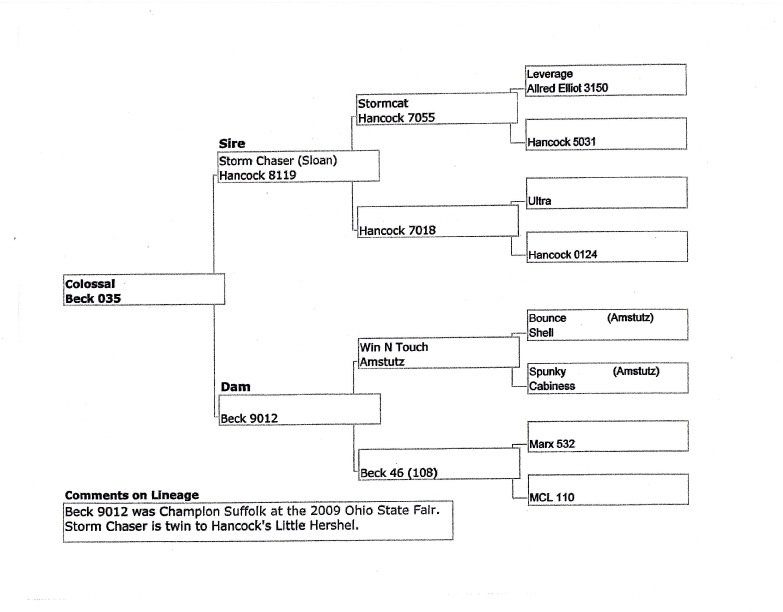 Click image below to view sire genealogy. 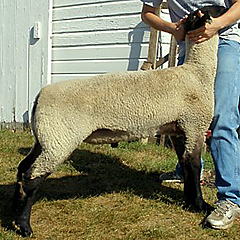 This ram lamb is the best Classic Touch son of the year and his maternal line is loaded with stud rams and champions for Wheaton Hampshires. His mother is Wheaton 9-106, one of Wheaton's lead donors. True Classic is moderate in his frame, pulled apart underneath, tremendously square and super sound. Nighthawk (RRNN) was our keeper ram in 2011. When you study his pedigree, you find a proven and highly successful gene pool that is certain to produce results in the showring. We are excited to see his offspring, especially those from Colossal and Knop 5678 daughters. Flatline is flat good which is no surprise considering he is a Caesar son. We were extremely pleased with his first offspring in 2010 and expect the same this year. 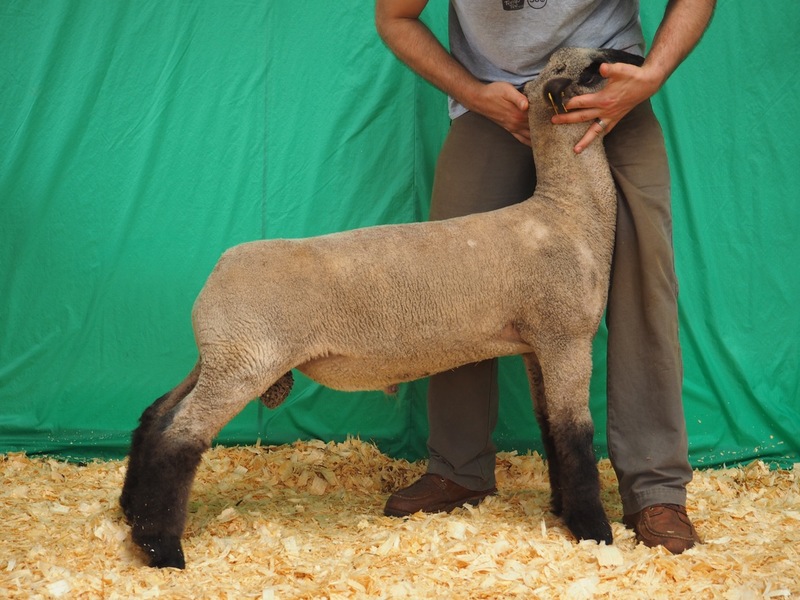 He is a hard muscled ram that offers a lot of muscle shape and dimension, without sacrificing structural correctness. Manifesto is another David Garrett (Shrank) raised Caesar son that is loaded with muscle and carries tremendous hip width. 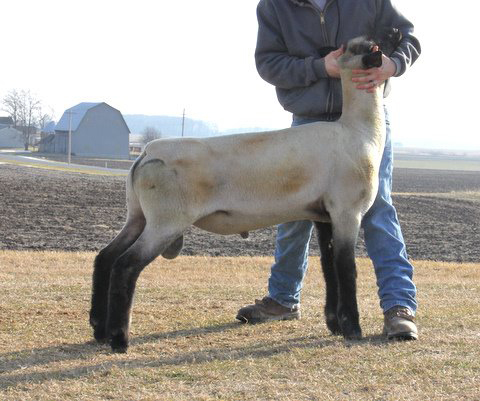 We are excited about the potential that this ram brings to our flock especially considering the successful offspring from our other Caesar son, Flatline. Picture was taken after breeding season. 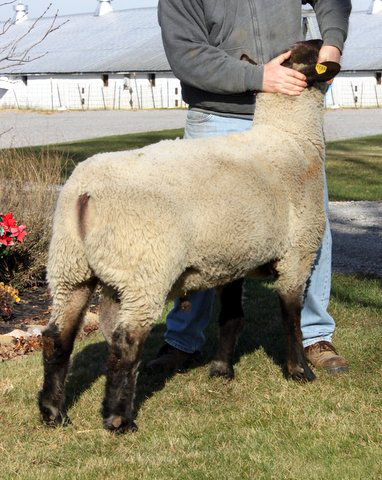 Eclipse is a thick designed ram, stout with plenty of bone, correct neck set, and is parallel lined. He has a nice shaped loin and is square through the hip. Goldmine is long bodied with an explosive rack and lengthy loin that lays into a big, square, level hip. He has a deep twist with expressive leg muscle. He is parallel in his lines, tall fronted and structurally correct. Marx 532 is tall fronted, shallow chested and ties in nicely at the shoulder with a level top that flows into a wide hip. He is very balanced with a nice combination of style and power while maintaining structural soundness and plenty of bone. Join Beck Family Show Lambs on Facebook!